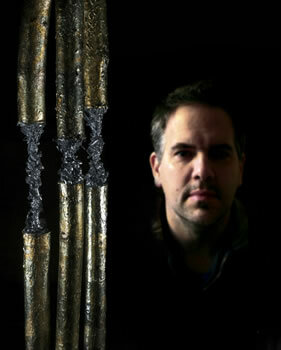 JB: This photo shows Zac by one of his works entitled enigmatically Beneath Two. 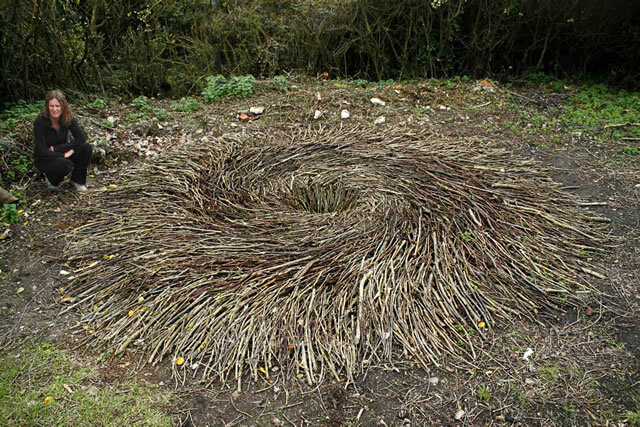 A little while ago Zac sent me the two photographs below showing two impressive pieces of " land art" he had made in South Brewham using a variety of branches and leaves he had found near the site. ZG: The first piece is entitled "Our Common Future" and is about the current state of the environment. I made this piece after recently reading a depressing article about the mining of gold around the world. I found the statistics terrifying. The total amount of gold mined so far equates to 160,000 tonnes of gold or two Olympic swimming pools. For every 1 gram extracted, one needs to mine 1 cubic metre of earth to get it. This represented in a visual format is like digging a hole one metre deep x 100kms x 1490kms. What makes it worse for me is that 65% of this consumption is for jewellery purposes. And this is just gold! Think about all the other minerals we consume. It made me feel a sense of despair as well as being acutely aware of my own consumption. Not just of minerals but of food and everything else I consume in my everyday life. I often think that our society has become detached or divorced from nature. I try with my work to redress this and remind people that their consumption has a very direct impact on our natural environment. JB: The second picture he sent me was this, which he describes as part of his 'Looking into....' series. 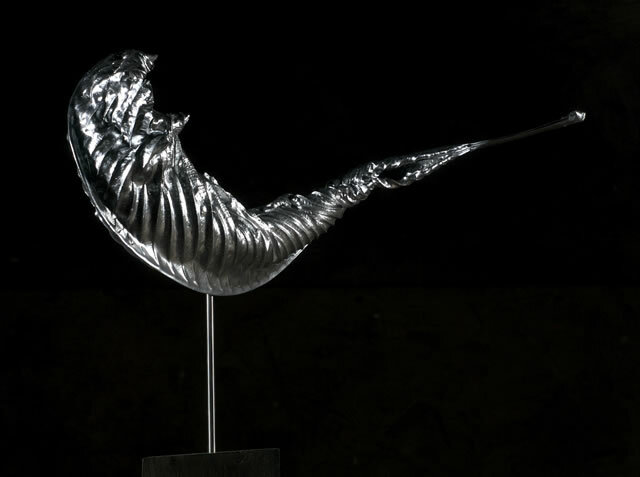 ZG: As a sculptor/artist I am constantly amazed at nature's complexity, beauty and design. As someone who makes things I often feel slightly inept in that capacity compared to the way that nature constructs things. 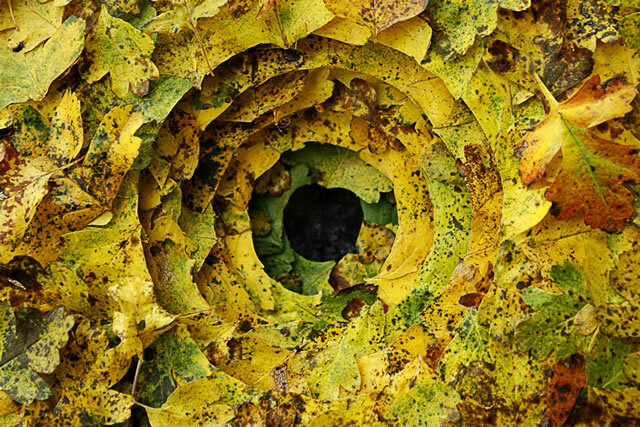 A simple leaf, for instance, is amazing when you consider what it has to do and endure e.g. water, wind, sunshine, disease. If I was asked to make or design something half that beautiful I would fail miserably. JB: What follows is a small selection of some of Zac's works. They are usually three-dimensional and are made from various combinations of found natural objects and sophisticated modern materials. 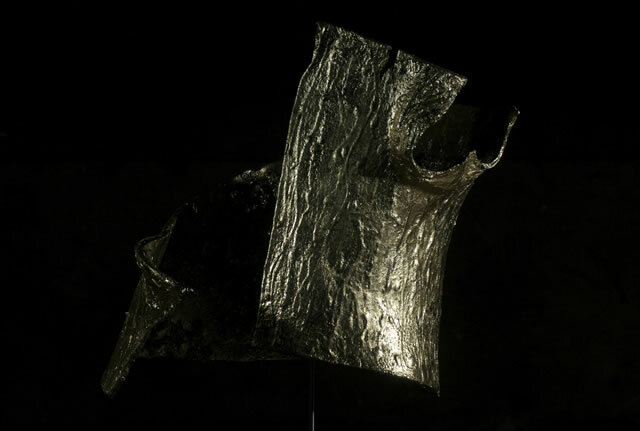 He sees this mixed media fusion as a metaphor for the meaning of his work in that both in the present and preparing for the future we need to use our sophisticated technologies to work with and not against what the natural world gives us. In preparing this I had a fascinating interview and discussion with Zac. He is unusual in that he did not go to art college but Reading University, where his degree was in Agricultural Economics. Subsequently he worked in South America and then for Greenpeace before feeling compelled to work as an artist. What is remarkable is that he has done this so successfully, with work sold to clients around the world and exhibitions in prestigious London galleries. Very few artists are able to make a living from their work like this. We agreed that the new orthodoxy of the art schools with their denigration of painting, drawing and mastering skills and techniques and instead emphasising "conceptualism" often seems to produce work which has lost its way, has little to say, and is deeply forgettable. Zac considers that a work of art should have three qualities. He describes these as Aesthetic, Narrative and Craft. By this he means it should be beautiful, it should say or refer to something significant and mean something, and it should be made with the skill of someone who really understands and can use the media he has chosen to work in. Certainly I feel Zac achieves this. 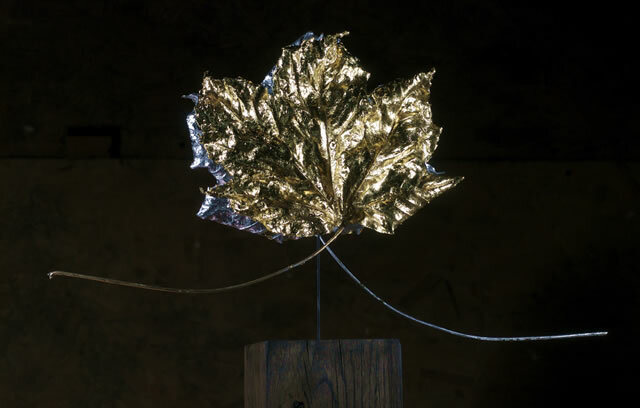 The works have a beauty and elegance about them and their mixture of media and modelling show a mastery of craft but always point beyond to our fragile, magnificent and threatened world. Zac feels he has moved from works which were an expression of self-analysis to engagement with and commentary on what is happening to our world. He finds our emphasis on consumption and accumulation obscene. He fears we are eating ourselves into extinction and ravaging the planet in the process and he hopes that his work now and in the future will be able to heighten awareness of this.